Welcome to Champion Aquariums. We are the largest aquarium management company in the area, serving hundreds of satisfied clients. Our well-trained aquarists possess more than 40 years of combined industry experience. If you want the best, choose us. Champion Aquariums specializes in the creation and maintenance of custom aquariums for both commercial and residential applications. The aquariums we offer are designed to provide years of problem-free enjoyment. They are made of the strongest glass and acrylics that come in a variety of shapes and sizes. Each unit is fully integrated and self-contained. We are experts in the creation of living reefs. 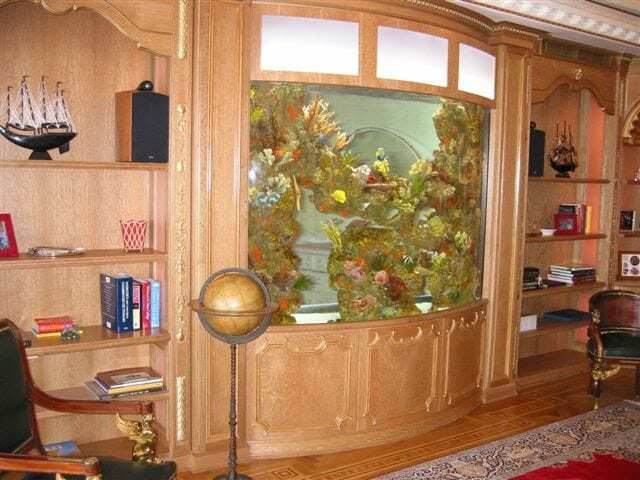 In addition, we offer complete aquarium design, sales, installation, and maintenance. We have provided quality, personalized aquarium services to residential and commercial clients in South Florida for more than 25 years. You can rely on us for troubleshooting tips on an aquarium you service yourself, a second opinion, regular maintenance, and everything in between. We are the top choice for aquarium management services in the South Florida area. You can find us in in Pompano Beach and Fort Lauderdale, FL. If you’re looking for a company that is ready to meet your needs, reach out to us today. Our owner-operated company has been in business for more than 25 years. We specialize in turnkey aquarium services for businesses and residences.